At least 75 dead, including children and women, as ISIL claims attack at Lal Shahbaz Qalandar shrine in Sindh province. 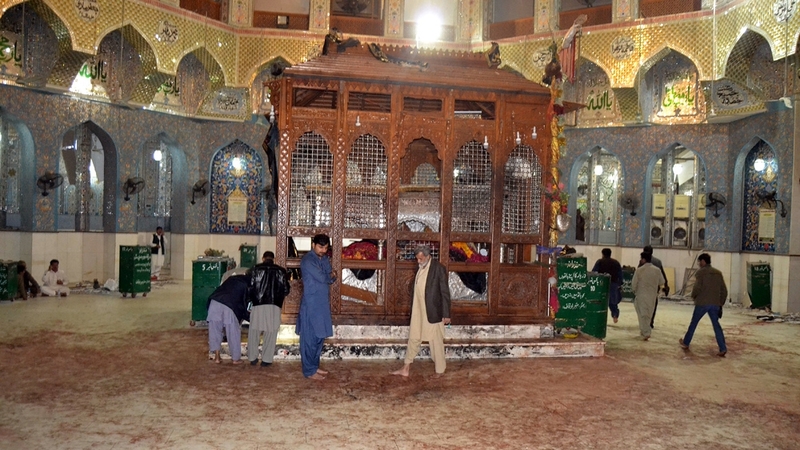 A suicide bomber killed scores of Sufi worshippers and wounded hundreds as they were performing a ritual in Pakistan’s Lal Shahbaz Qalandar Sufi shrine in Sindh province. 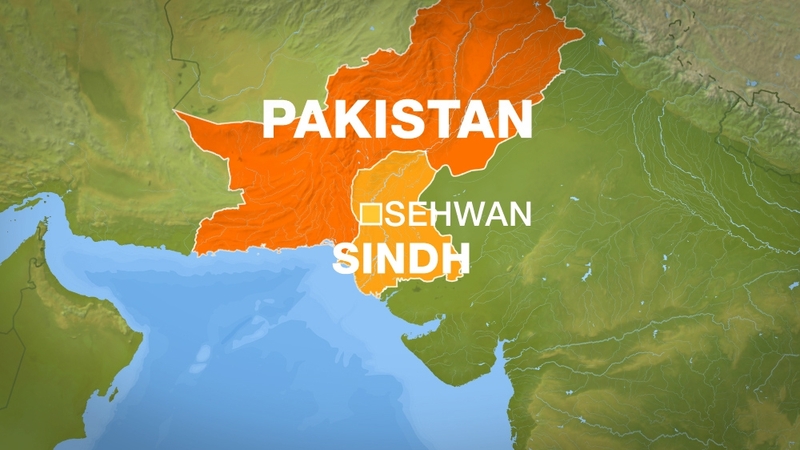 The Islamic State of Iraq and the Levant (ISIL, also known as ISIS) group claimed responsibility via its Amaq website for Thursday’s blast in Sehwan, the deadliest attack in Pakistan in more than two years. Khadim Hussain, deputy inspector-general of Hyderabad police, told Al Jazeera that at least 75 people were killed in the blast, and more than 200 were injured. At least 43 men, nine women and 20 children were among the victims. Sikandar Mandhro, Sindh’s health minister, told Al Jazeera: “There was a huge crowd gathered there for the [religious gathering] at the shrine, and there was a very big explosion. The closest hospital to the shrine is around 70km away. 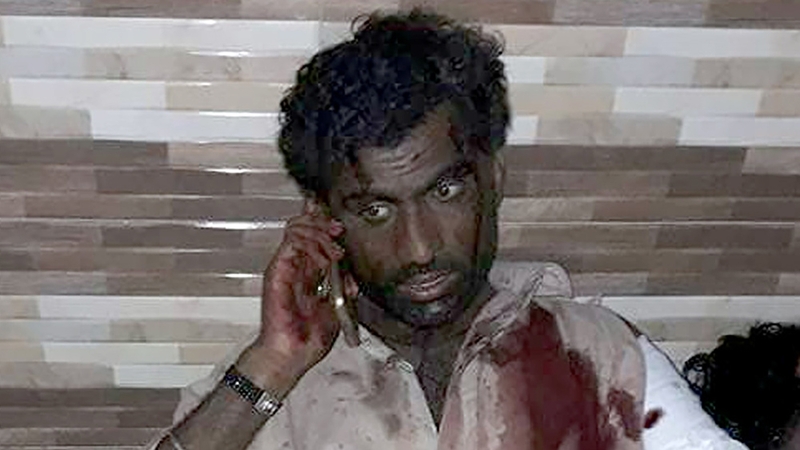 Witness Nazakat Ali was praying when the bomb exploded. Haider Ali, manager of a nearby hotel, told Al Jazeera that police have sealed off the shrine. Thousands gather at the shrine every Thursday to pray and participate in the Sufi tradition of “dhamaal”, a form of devotional percussion and dance. The shrine, built in 1356, is by the tomb of Syed Muhammad Usman Marwandi, the Sufi philosopher poet better known as Lal Shahbaz Qalandar, one of Pakistan’s most venerated saints. 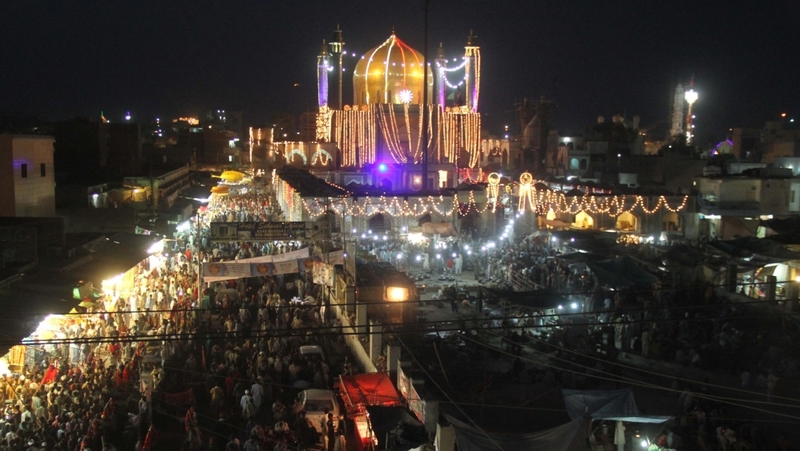 Each year, hundreds of thousands gather to celebrate “Urs”, his death anniversary. Faisal Edhi, who heads the Edhi Foundation, told Al Jazeera that the place of worship was difficult to access because it is surrounded by narrow streets. “Ambulances have all been sent in from Hyderabad, Jamshoro, Dadu, Sukkur and Morho … about 20 ambulances are headed in to help transfer patients to hospitals,” he said as he was on his way to Sehwan. The Edhi Foundation operates ambulance services, orphanages, women’s shelters, dispensaries and morgues in several Pakistani cities. 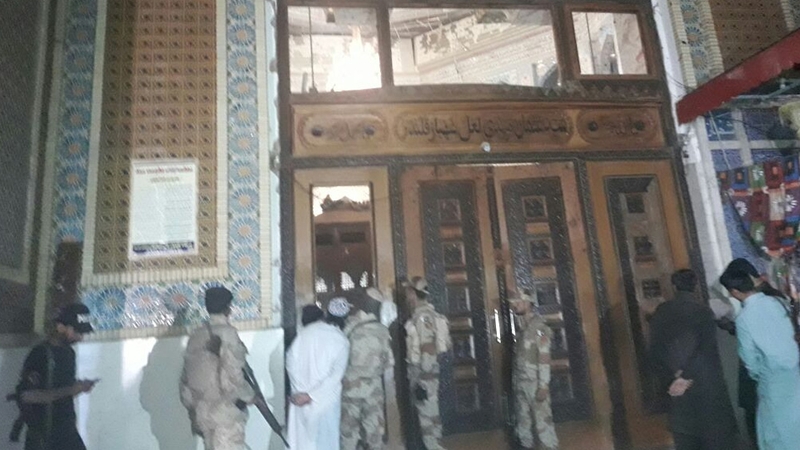 In November, at least 52 people were killed in a suicide attack on a shrine to Sufi saint Shah Noorani in Balochistan province, in an attack claimed by the Islamic State of Iraq and the Levant (ISIL, also known as ISIS) group. Thursday’s blast is the latest in a series of attacks across Pakistan since Monday, when 13 people were killed in a suicide bombing at a rally in the eastern city of Lahore. That attack was followed on Wednesday by a suicide bombing at a government office in the Mohmand tribal area and a suicide attack on government employees in Peshawar, killing six people. Two police officers were killed on Tuesday while trying to defuse a bomb in the Balochistan provincial capital of Quetta. Asif Ghafoor, spokesman for Pakistan’s army, blamed recent attacks on “hostile powers”. Writing on Twitter, he said that recent “terrorist” attacks were executed on direction from hostile powers and from sanctuaries in Afghanistan. “We shall defend and respond,” he said, later adding that the Pakistan-Afghanistan border was closed until further notice “due to security reasons”. Hamid Karzai, Afghanistan’s former president, took to Twitter to condemn the attack, calling the victims “innocent brotherly people of Pakistan”. Thursday’s attack was the deadliest in Pakistan since December 2014, when fighters assaulted a school in Peshawar, killing 154 people, mostly schoolchildren.